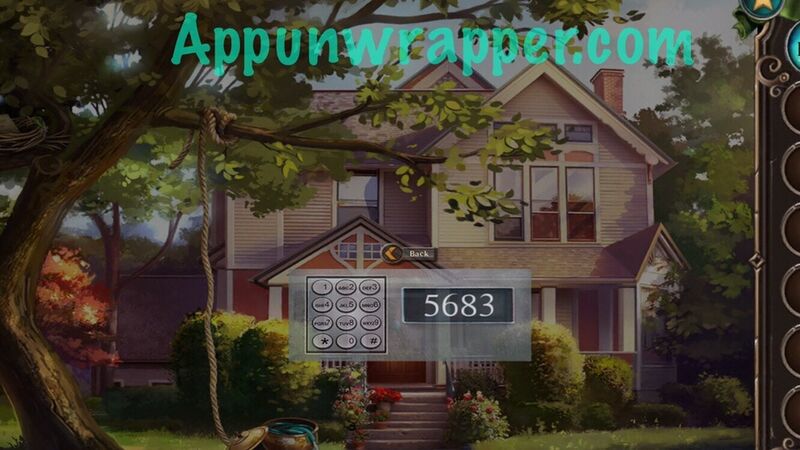 This is a complete step-by-step walkthrough with help, hints, tips, cheats, tricks, solutions and answers for the iOS and Android game Adventure Escape: Cult Mystery by Haiku Games. I’ll explain every puzzle solution, but feel free to ask for extra help in the comments section. Click on the numbers at the bottom to go to different chapters. 1. Follow the tutorial. 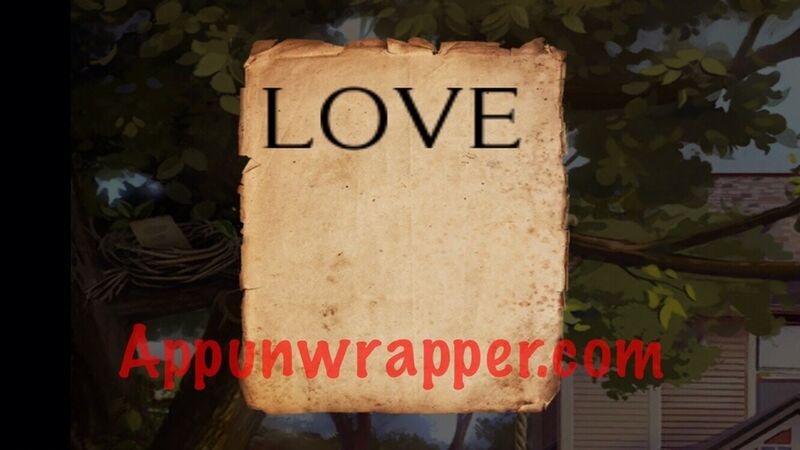 Pick up the rope and use it to climb up the tree to see the note that says LOVE. 2. Tap on the locked door. Enter LOVE or 5863 into the keypad and go inside. 3. 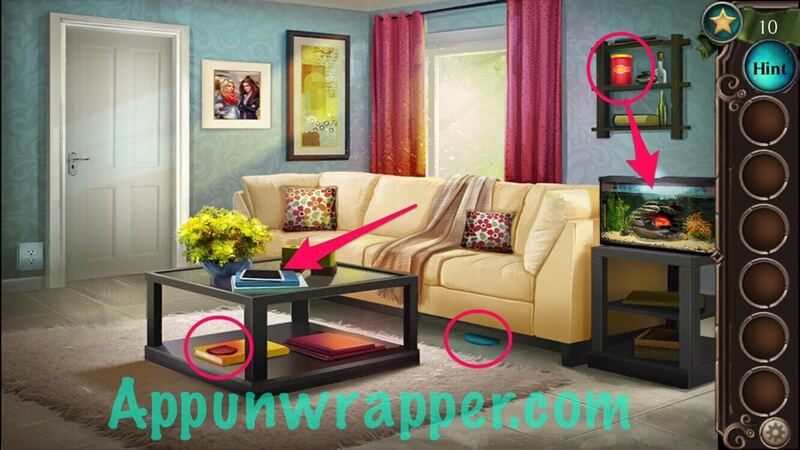 Pick up the blue puzzle piece from under the couch.l and the red puzzle piece from the coffee table. Melissa’s cell phone is on the table, but it won’t turn on. Pick up the fish food from the shelf. Feed the fish food to the fish and then take the key. 4. Use the key to open the bedroom door and go in. 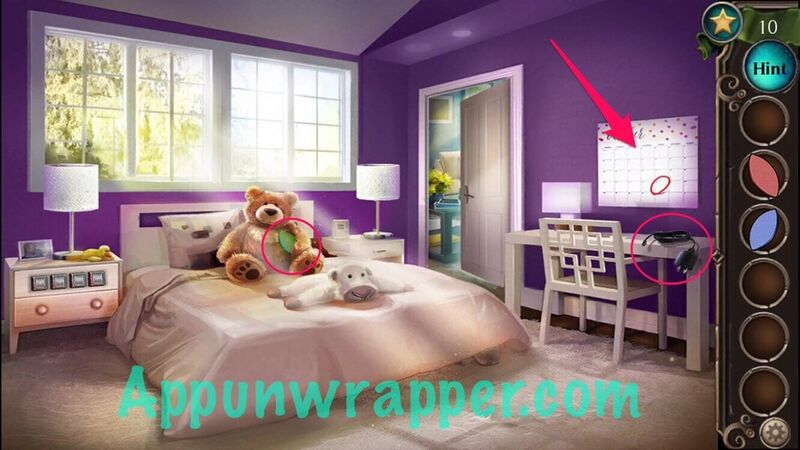 Take the green puzzle piece from the stuffed bear. Take the phone charger from the desk. 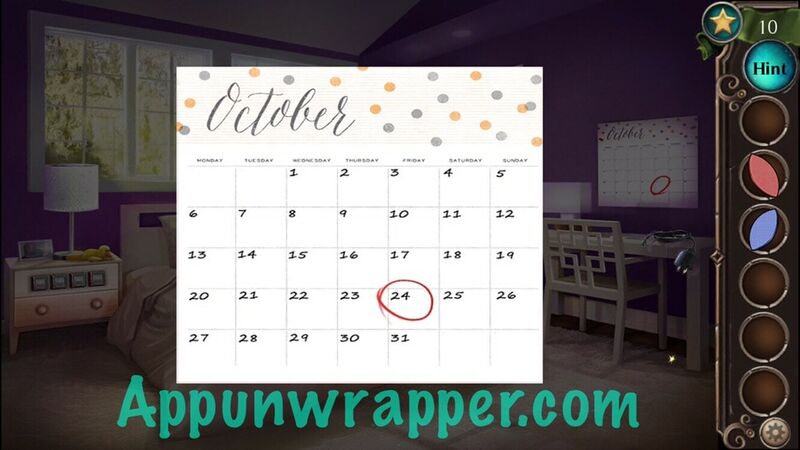 Look at the calendar on the wall — October 24th is circled. 5. The night table is locked. Use the date from the calendar — 1024 — to unlock it. Solve the puzzle using the three puzzle pieces you found. You need to make each color wheel match the background color. You can see how I did it in the video above. 6. Look at the journal. 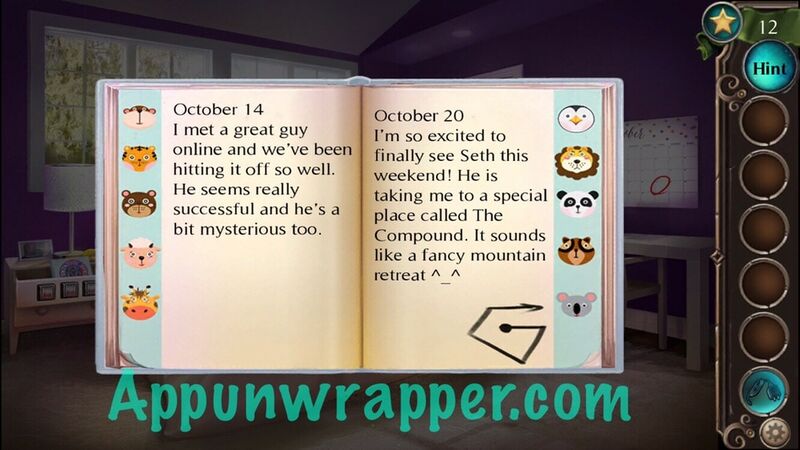 It says Seth took her to the Compound. 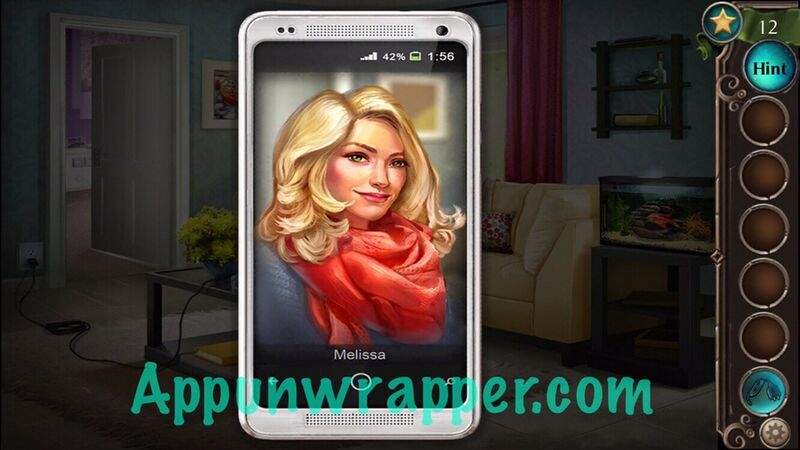 The drawing in the corner shows you how to unlock her phone. So go back and plug it in, then unlock the phone like so, starting from the middle and making your way out. Thank You! I didn’t know Haiku came out with another game! Those are the numbers on the keypad if you enter LOVE. 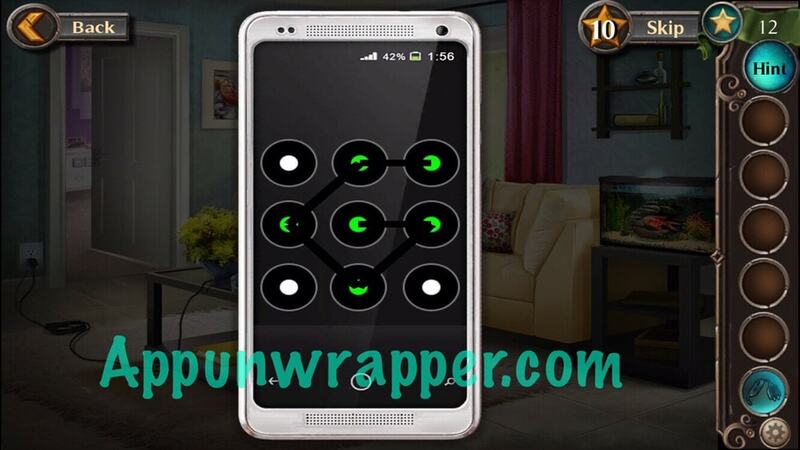 or you can just look at your own phone keypad – even on a cell the numbers are the same. what are the 5 remaining marbles on salitar? You must be addimg too many spaces between words . I had no issues typing i faked agi. I did when i accidently hit the space too long or too many times. Same. I definitely get the small target inside the big target but I keep getting defeated. Why?? Sometimes it takes a little tweaking to get it to recognize the shape. It can be a little annoying that way. just click the doll after you build the second model. or i try to remove the parts again and build it again. The same thing is happening to me!! I have the dogs in the cave but I can’t seem to get them on the correct paths. Help!!! Stuck with assembling the chemistry set up. Thanks! I had to “skip” the dogs in the cave but I did beat Seth! What is the order for fixing the tier? I need help with the marble solitaire ? We purchased 30 stars 3 times, with it showing purchase successful and did not receive stars. Tried it with 50 and it did the same thing. Very disappointed! the pool cue is not letting me get the marble in the fire somebody help plz! I can’t light all the numbers on the board at the last part of ch. 8. Any help plz. I wish there’s a much easier way to get past the rope tracing section without hwving to buy more stars. ? I don’t know if everyone else had this happen..one of the rooms, was pitch black? ; The one with body parts. I touched around.. and found items. (Tilt head slightly. 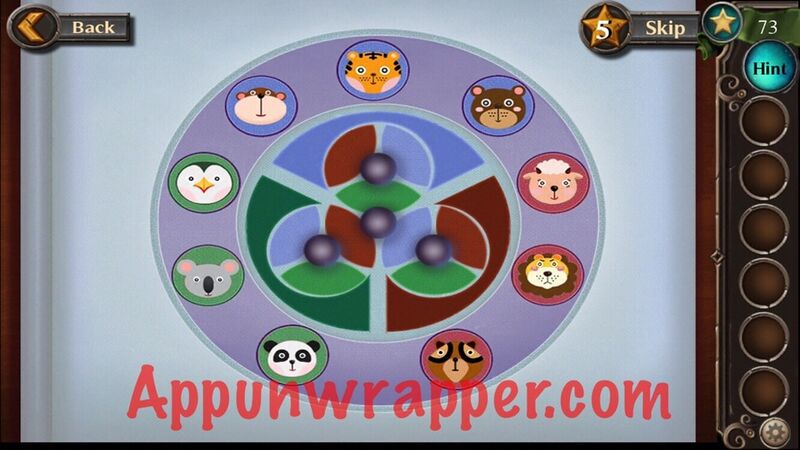 ).The marble game..It let me have it with 3-4 left on the board.. The 4 cards..it’s a math game..I enjoyed that level.. I cannot summon more than 1 dogs!